The 2019 Hyundai Elantra gets a mean new look, almost Lexus like, with a big update on tech and safety features. The 2019 Hyundai Elantra will be launched in the US by early 2019. In a bit of a surprise, Hyundai USA has revealed the 2019 Hyundai Elantra to the world. The unannounced reveal took place at the media drive of the new Hyundai Santa Fe in Utah for the International media on Tuesday evening. The 2019 Hyundai Elantra gets a mean new look, almost Lexus like, with a big update on new tech and safety features. Moreover, the company says that the 2019 Elantra will be 75 per cent more equipped with life-saving technology as it receives most of the latest safety tool, making it the safest sedan out there. Expect the 2019 Elantra to come to India by mid-2019 or late 2019 and will take on the likes of Skoda Octavia, Toyota Corolla, Volkswagen Jetta among others. 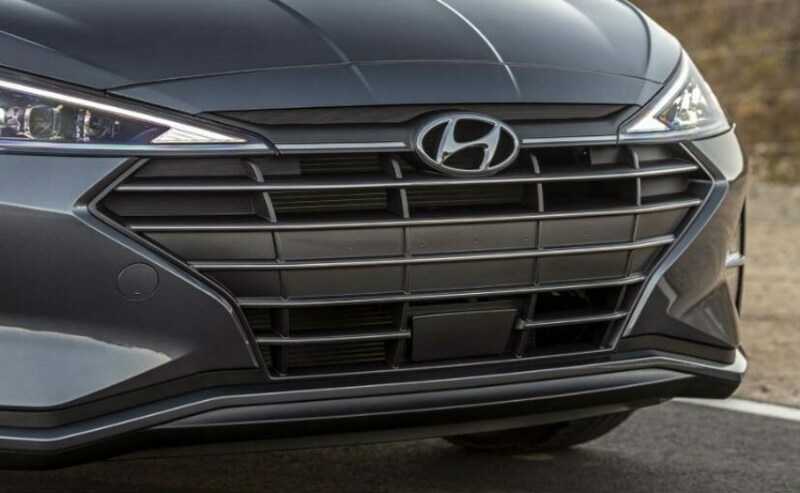 Now, the most obvious change to the 2019 Elantra is the new face, as it gets a new fascia with LED DRLs, a new hood, new fenders and also a new front grille. 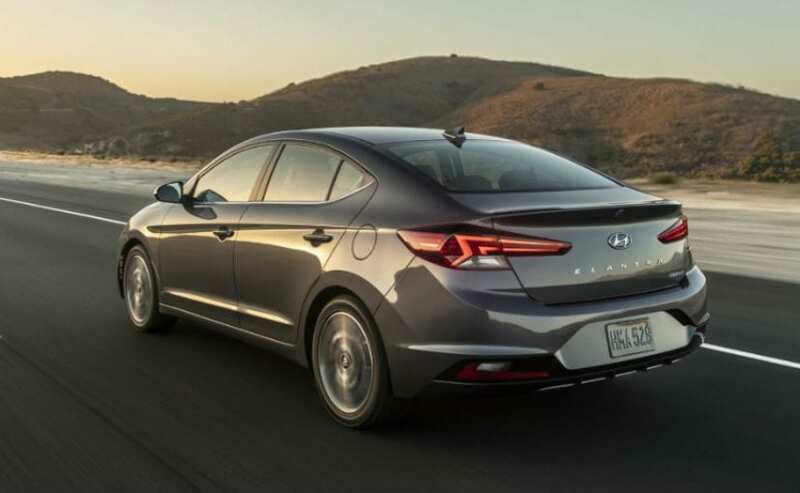 At the back, the 2019 Elantra gets a new trunk along with revised bumper and new taillights. 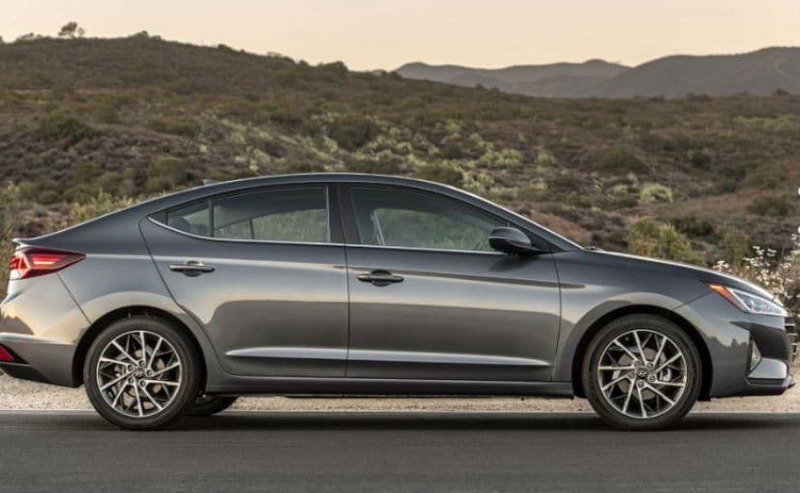 Hyundai has also specced the 2019 Elantra with new 16 and 17 inch wheel choices. The new changes to the exterior have made the sedan more dynamic in the way it looks while the single streak look is very elegant to look at. The boot-lid has also received changes with the number plate recess now moving to the rear bumper. The major changes are on the inside as the 2019 Hyundai Elantra now comes with a new infotainment system. You will be welcomed by a new 8.0-inch touchscreen which has everything from Android Auto to Apple Car Play to even wireless charging for your smartphones. However, this only for the top of the line Elantra, while the lower models will get the same 7.0-inch unit from the other Hyundai's. Now, we get in to the most interesting bit about the 2019 Elantra. 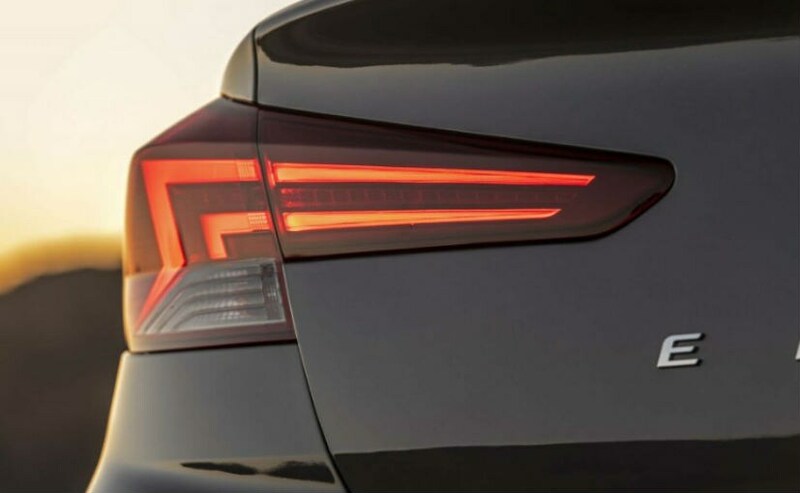 As we have already mentioned this, the sedan will get state of the art safety features and the list includes forward-collision warning with automatic emergency braking, blind-spot monitors, lane departure warning with active lane control and also a rearview camera with cross-traffic alert. These features will be standard across all versions. The 2019 Elantra also gets Pedestrian Detection and a feature called Safe Exit Assist that alerts the passengers of a potential danger while exiting the sedan. Reports suggest Hyundai might include this feature in all future models. The heart of the 2019 Hyundai Elantra will be powered by a 2.0L naturally aspirated 4-cylinder engine, a 1.4L turbo 4-cylinder and a 1.6L turbo 4-cylinder engine. These engines will churn out 147 bhp, 128 bhp and 201 bhp respectively. 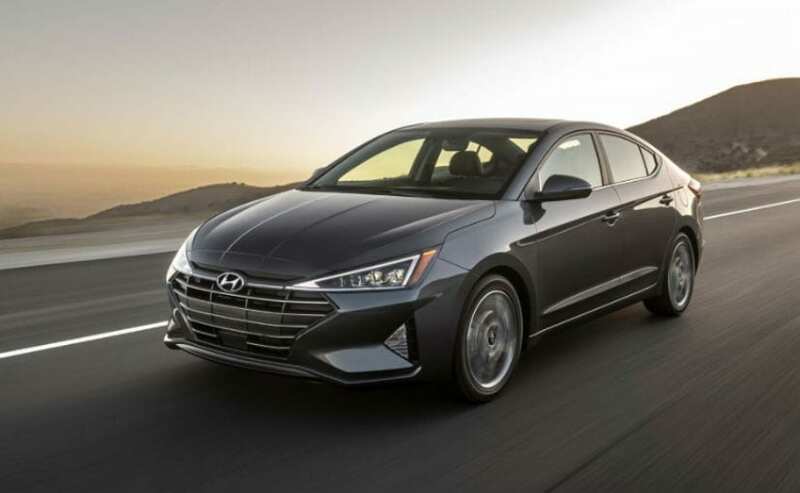 The company will offer a 6-speed automatic, a 7-speed dual clutch automatic and an option of 6-speed manual or the 7-speed dual clutch for the sport version of the 2019 Elantra.